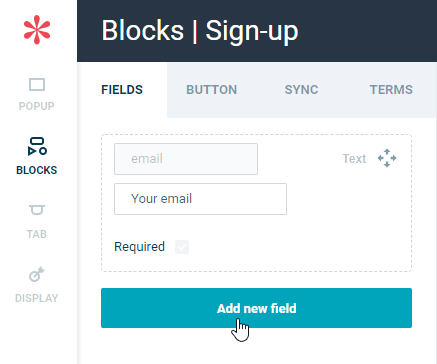 Note: you need access to your tracking code to use that feature. Paste the following script between the end of your WisePops tracking code and the </script> tag. Open your campaign in the editor. 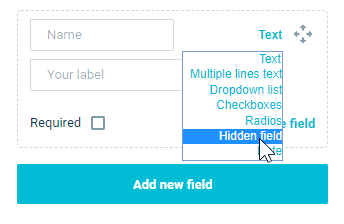 Select "Hidden field" in the upper right menu. Name it Utm Source (using a different name will break the code). Repeat the operation for Utm Campaign and Utm Medium. Use the following script instead. After "wisepopId", enter your campaign ID (it can be found in the URL when you open your campaign in the editor).